On a trip to Dambulla, visit the largest and best-preserved cave temple complexes in the country, declared a World Heritage Site. On the 1st (Sat), pick up some local products at Dambulla Dedicated Economic Centre, get outside with Outdoor Activities, and then Head underground at Golden Temple of Dambulla. 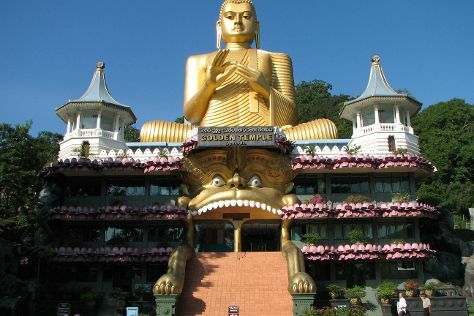 To see more things to do, reviews, and more tourist information, read our Dambulla trip planner. Dubai, United Arab Emirates to Dambulla is an approximately 9.5-hour flight. You can also do a combination of flight and taxi. Due to the time zone difference, you'll lose 1 hour traveling from Dubai to Dambulla. 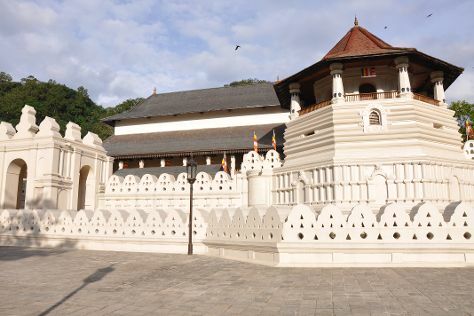 Cap off your sightseeing on the 1st (Sat) early enough to go by car to Kandy. Kick off your visit on the 2nd (Sun): contemplate the waterfront views at Kandy Lake, stroll the grounds of Kandy Garrison Cemetery, then contemplate the long history of Temple of the Sacred Tooth Relic, and finally tour the pleasant surroundings at Royal Botanical Gardens. On the 3rd (Mon), you'll have a packed day of sightseeing: look for gifts at Earth Bound Creations Showroom, then identify plant and animal life at Udawattekele Sanctuary, then examine the collection at World Buddhist Museum, and finally take an in-depth tour of Raja Museum. For photos, where to stay, maps, and tourist information, read Kandy planner . You can drive from Dambulla to Kandy in 1.5 hours. Finish up your sightseeing early on the 3rd (Mon) so you can travel to Unawatuna. 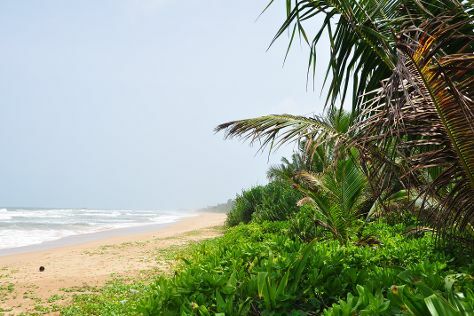 Your itinerary includes some good beach time at Bentota Beach and Mirissa Beach. Venture out of the city with trips to Ahungalla Beach (in Ahungalla), Hikkaduwa Beach (in Hikkaduwa) and Dolphin & Whale Watching (in Mirissa). To plan Unawatuna vacation without wasting time, ask Inspirock to design an itinerary. Traveling by combination of taxi and flight from Kandy to Unawatuna takes 2 hours. Alternatively, you can drive; or do a combination of flight and taxi. In June, daily temperatures in Unawatuna can reach 37°C, while at night they dip to 30°C. Finish your sightseeing early on the 7th (Fri) so you can travel back home.